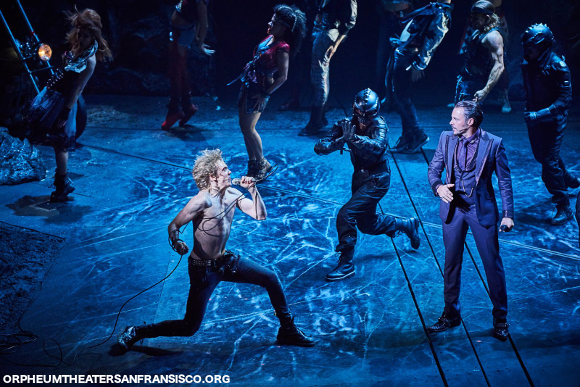 Are you ready for the latest hard rock musical to rev up onto the stage of San Fransisco’s Orpheum Theatre?? That’s right, it’s the long-awaited Meat Loaf musical, Bat Out Of Hell!! From the mastermind Jim Steinman, principal writer of all three of Meat Loaf’s Bat Out Of Hell albums, comes the musical he’s wanted to bring to the stage for 40 years. It’s the future, and Manhattan, now called Obsidian, is ruled over by a dictator named Falco. The only ones who can stop him are The Lost – a gang of youths frozen aged 18, their leader, Strat, and Raven, Falco’s daughter, who becomes the subject of a forbidden romance between her and Strat. 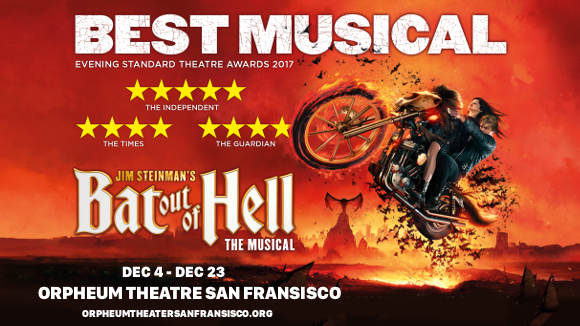 Get ready for the Meat Loaf rock opera – Bat Out Of Hell: The Musical!! Tickets on sale now and selling fast – grab yours while you can!! Originally writing musicals before ever working with Meat Loaf, creating a Peter Pan-inspired musical set in a dystopian future has been a long-standing dream of Jim Steinman’s. Finding it difficult to get anyone to see the potential of this idea at the time, many of the tracks on the original Bat Out Of Hell album were left over from this vision Steinman had – making them the ideal material to accompany his musical finally coming to life. Has it been worth the wait? Of course it has. Since it first opened in the UK in 2017, the musical has been a huge hit with audiences and critics alike – Meat Loaf fans, of course, are in particular going to love it, as most of the musical’s material is drawn from the Bat Out Of Hell trilogy by Meat Loaf, with a few extra numbers written just for the show. Half the fun is just guessing where in the plot songs will show up – and some are less obvious than you’d think! Featuring favourites such as “Two Out Of Three Ain’t Bad,” “Bat Out Of Hell,” “For Crying Out Loud,” and “Dead Ringer For Love,” the Bat Out Of Hell musical reimagines the songs in ways you’d never have expected, from powerful solos and emotional duets to full-bodied gang chants. The plot follows in the footsteps of other rock musicals such as We Will Rock you in it’s futuristic science fiction setting, while fulfilling Steinman’s wish to reimagine Peter Pan. From the gang of never-aging rebellious youths (The Lost) to central characters Raven, the daughter of tyrannical tycoon Falco, falling for and swept off her feet by Strat, the leader of The Lost, Bat Out Of Hell is a more adult rendition of a childhood classic – there’s even a jealous love interest called Tink. A truly massive production, Bat Out Of Hell utilises state-of-the-art technology to bring the world of Obsidian to life, from an impressive tower serving as Raven’s prison to an intricate network of underground tunnels, displayed in intimate detail to audiences via a series of projections and cameras distributed throughout the set. Let’s not forget the impressive choreography from Emma Portner. As the characters traverse the alien landscape, each of their movements is perfectly imagined to convey alternating urgency and passion, and the dance sequences will leave you as breathless as if you’d been dancing yourself. 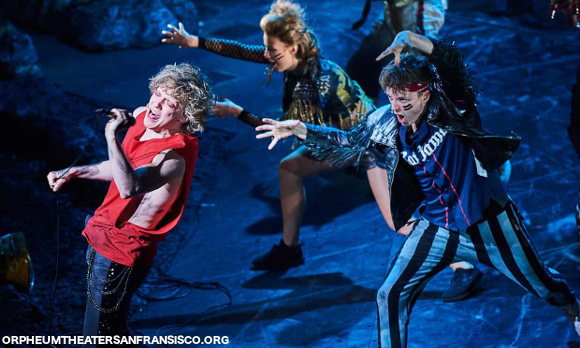 Loud, boisterous, and arrestingly dynamic both visually and sonically, Bat Out Of Hell will deliver the goods to anyone who wants to hear those classic songs sung to a superlative standard, accompanied by one impressive visual spectacle after another. What are you waiting for?? Get your tickets today! !